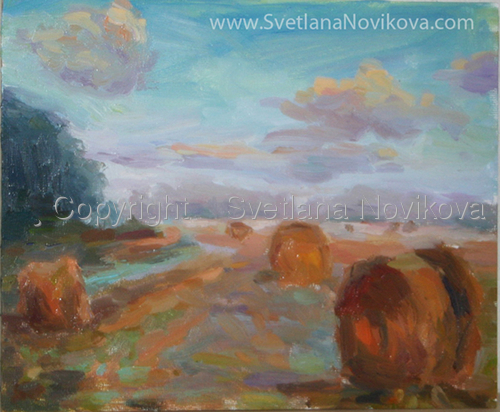 This painting was done with oils on cradled board (3/4" depth). It measures 9"x12". Signed and dated.